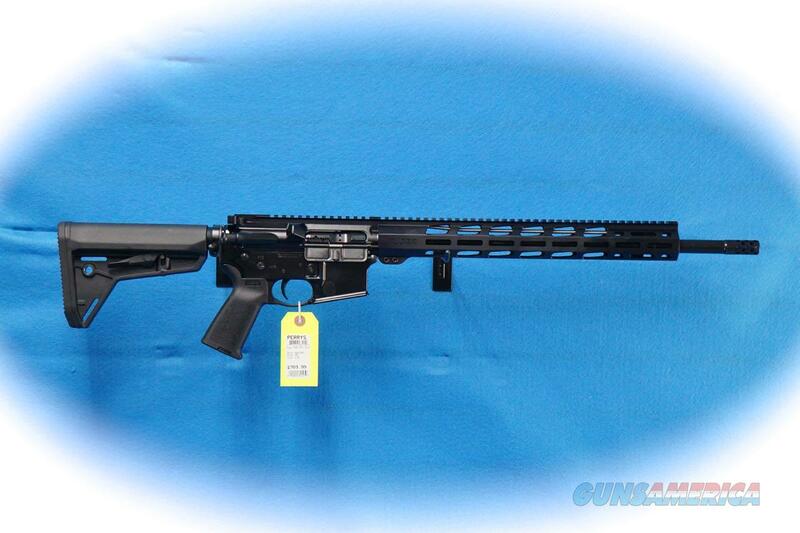 Description: Ruger AR-556MPR Semi Auto Rifle 5.56mm caliber, Model 8514. Lower receiver is fitted with Magpul® MOE® grip and MOE SL™ collapsible buttstock on the Mil-Spec buffer tube. Handguard is free-floating for accuracy and the slim, 15" length provides enhanced ergonomics and support. Made from aerospace-grade 7075-T6 aluminum forging, the flattop upper receiver includes a forward assist, dust cover and brass deflector, and is Type III hard coat anodized for maximum durability. Bolt is machined from 9310 alloy steel and is shot peened and pressure (proof) tested to ensure strength, structural integrity and durability. The Ruger® Elite 452® AR-Trigger is a two-stage trigger that offers a smooth, crisp, 4.5 pound trigger pull. It features a full-strength hammer spring for consistent primer ignition and a lightweight hammer that enables a 30% faster lock time over standard MSR triggers. Rifle-length gas system provides smoother operation and reduces felt recoil. Magpul® M-LOK® accessory attachment slots along the 3:00, 6:00 and 9:00 positions with additional slots on the angled faces near the muzzle. Cold hammer-forged 4140 chrome-moly steel barrel with ultra-precise rifling provides exceptional accuracy, longevity and easy cleaning. The 1:8" twist rate stabilizes bullets from 35 to 77 grains, and the 5.56 NATO chamber allows the use of both 5.56 NATO and .223 Rem. Ammunition. Chrome-plated bolt carrier inside diameter and chrome-plated gas key inside diameter provide exceptional resistance to hot gases. The gas key is staked so that it will not loosen after extensive firing. A matte black oxide finish on the exterior of the bolt carrier provides corrosion resistance. Ruger® muzzle brake is a radial port design that significantly reduces felt recoil and muzzle movement. The 1/2"-28 threaded barrel allows for standard muzzle accessories to be installed.